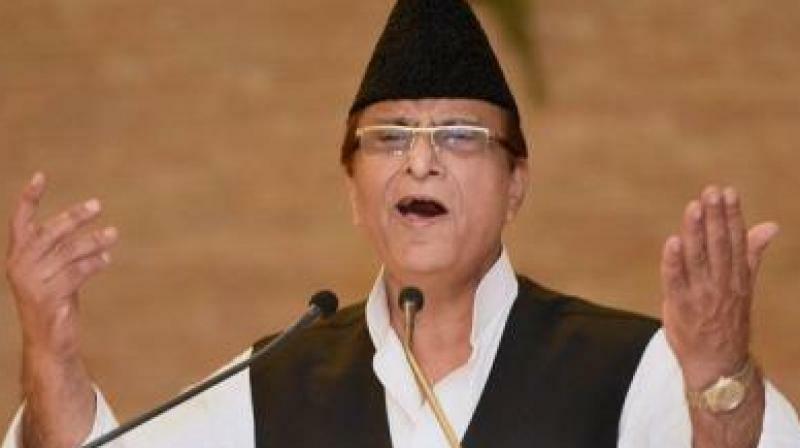 FIR filed on Azam Khan for sexist attack. New Delhi: A livid Supreme Court on Monday pulled up the Election Commission (EC) for “sleeping” over violations of model code of conduct by Uttar Pradesh Chief Minister Yogi Adityanath and BSP chief Mayawati while delivering hate speeches and seeking votes in the ongoing Lok Sabha polls on the basis of religion earlier this month. During a rally in Rampur on April 14, Mr Khan had targeted BJP candidate Jaya Prada, without naming her, saying that it took the people “17 years to understand her reality” but “I could recognise it in 17 days that she wears a khaki underwear”. Maneka Gandhi, at a rally in Sultanpur on April 14, had tried to coerce Muslims to voter for her saying that if they do not support her she would not do their works after her election. All four Uttar Pradesh leaders will miss the last day of campaigning ahead of the second phase of elections on April 18. At one stage, CJI Gogoi warned the counsel for EC that they may summon Chief Election Commiss-ioner Sunil Arora. At the outset, the bench, also comprising Justices Deepak Gupta and Sanjiv Khanna, asked the EC’s counsel about the action taken so far against the two top leaders of Uttar Pradesh. “Tell us what are you doing... Tell us what actions you have taken,” said the bench, hearing a public interest litigation (PIL) filed by Harpreet Mansukhani, an NRI yoga teacher based in Sharjah, United Arab Emirates (UAE), seeking a direction to the EC to take “strict action” against political parties if their leaders make remarks based on caste and religion. Senior advocate Sanjay Hegde, appearing for the petitioner, said that the EC’s powers under Article 324 of the Constitution are quite extensive and it can initiate action against leaders who spew hate. From the EC’s submissions the court found out that it has issued notices for hate speeches in only three cases so far in the 2019 Lok Sabha elections. The two cases include that of Mr Adityanath and Ms Mayawati. Appealing to caste or communal feelings to secure votes is not allowed under the model code, which is a series of dos and don’ts for political parties ahead of elections.